So for those of you who didn’t know, my house is somewhat of a farm. 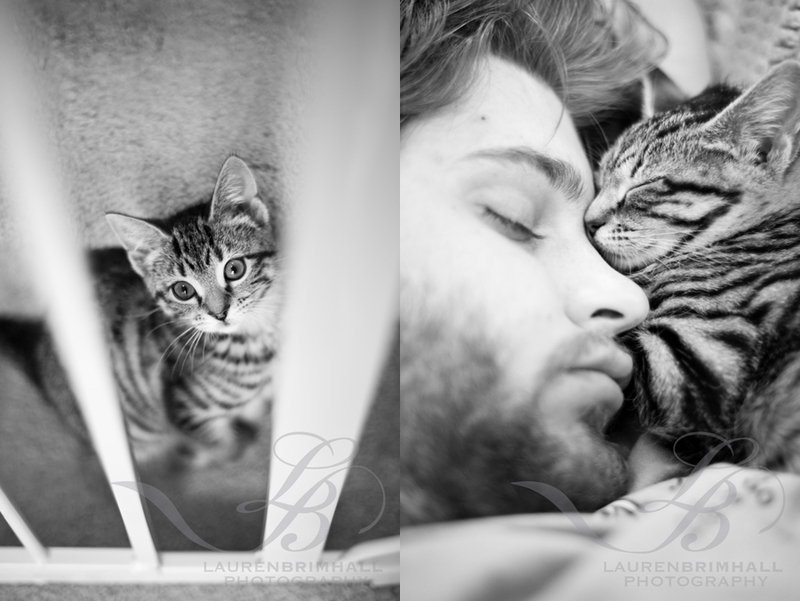 My husband and I are both animal lovers so in the past three years we have taken in four shelter cats and a dog. When we go to Pet-Smart and see the cats/kitties locked up in crowded cages our hearts go out to them, but up until recently we have always thought that we could only truly help the ones we took in, and we just can’t take in anymore. 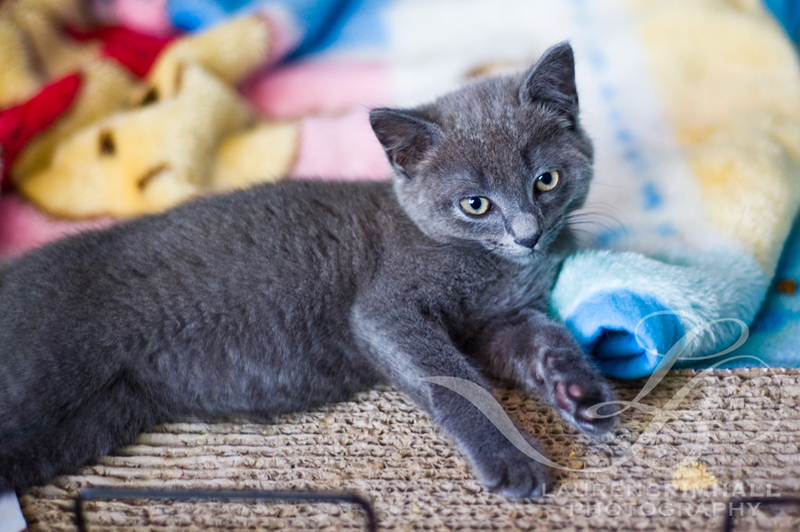 However, I recently discovered another way I can try to help our furry little friends, and that’s by donating some of my time, and photography skill, to finding them homes. 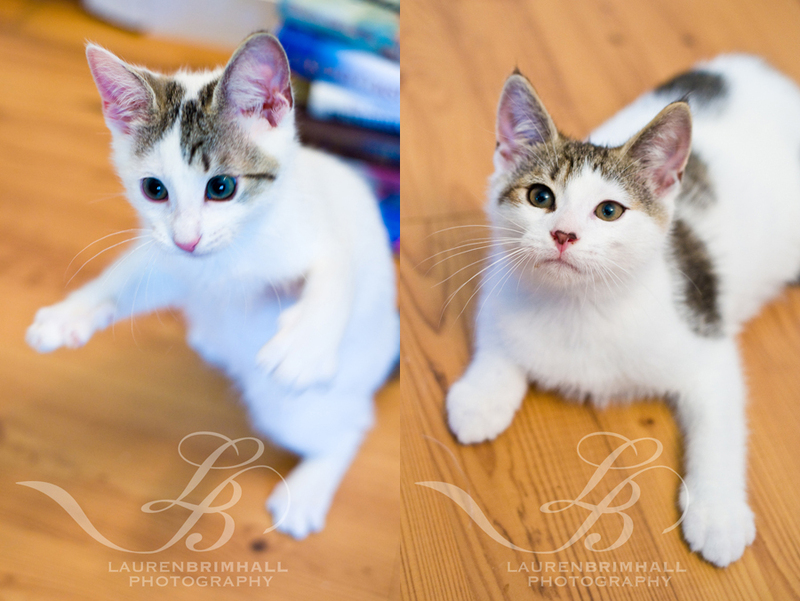 First, let me introduce you to the two newest additions to the Brimhall lot; Zoey (aka Zo Zo – left) and Nermal (aka Nerminator – right). Zoey is the first female in our family besides me. The dog and other three cats are ALL BOYS, and I guess I didn’t realize how much I really missed having another girly around until the day we adopted her. We went to Pet-Smart and I couldn’t stop buying everything pink! Pink kitty bed, pink mice toys, pink food bowl; love that little girl! Back to what this post is really about: All the other kitties out there in desperate need of their forever homes right now. 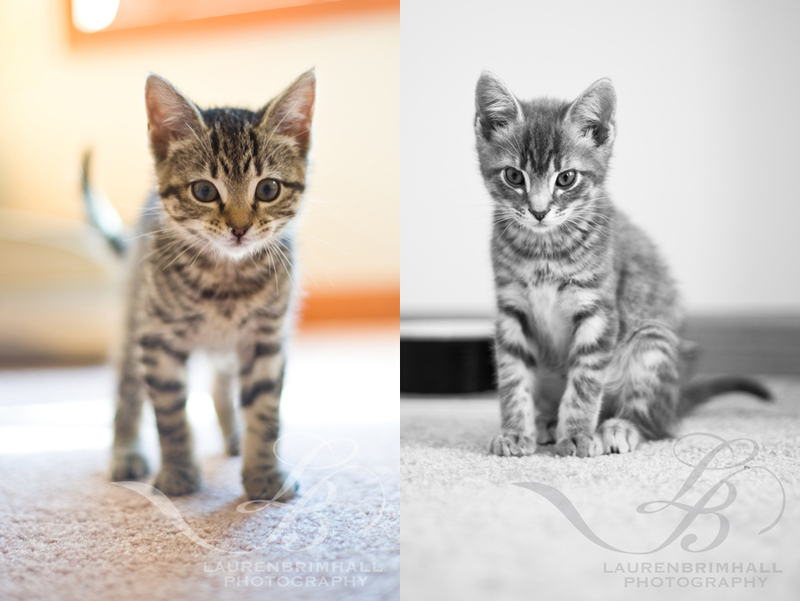 A friend of mine fosters animals for Camp Papillion and she’s over capacity for her home. She is currently fostering what is left of two entire litters of kittens (3 from each litter) and can’t move on to helping more kittens until she finds homes for these. 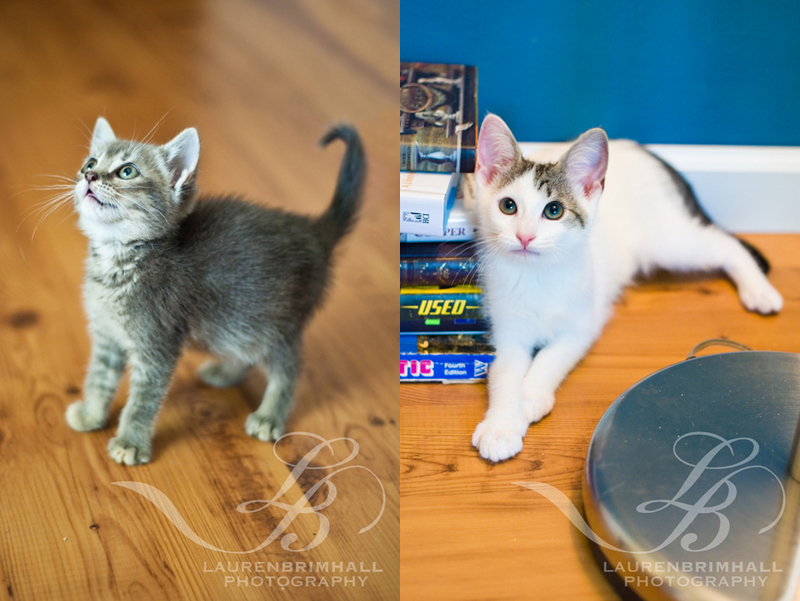 I took these pictures for the agency to post everywhere and anywhere to try to get them adopted. I know when I was hunting for kitties, a good picture made all the difference. Anyway, I’m not sure of the exact reach of my blog, but I thought if there was even the slightest chance that posting them here would help them be discovered by a loving family, I’m more than happy to give it a try. 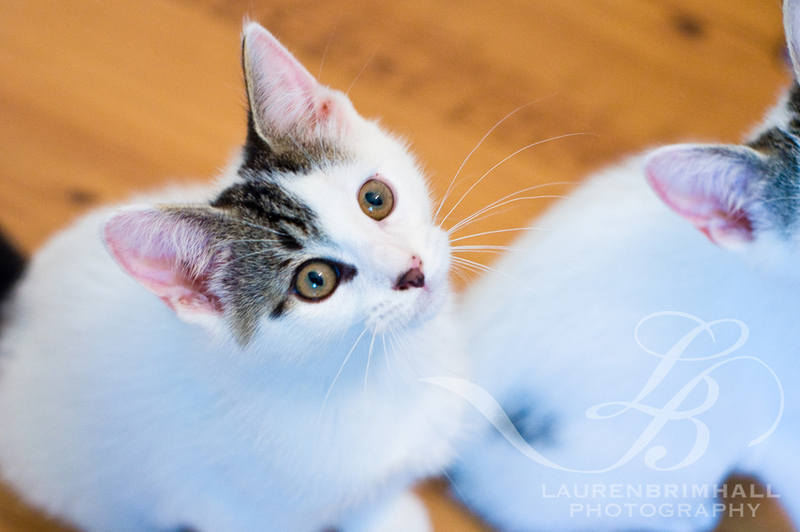 Let me introduce you to these adoptable little sweethearts! If you think you might be interested in meeting/potentially adopting one of these adorable fur babies, please contact me through my web site or Facebook! Finally, I’ll leave you with one last shot of my own special little girl, followed by quite possibly the cutest picture I’ve ever seen: Zoey moving in on my man!